Construction of residential and commercial buildings involves practical considerations to ensure lasting performance. The following are the advantages of Paver Pedestal System that homeowners and contractors should highly consider before spending a large amount of money using a less practical method in terms of paving. 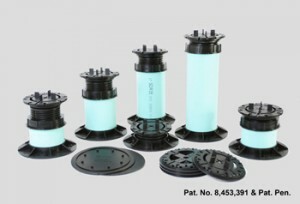 One of the Paver Pedestal System Advantages is its quick and easy installation with the use of plastic pedestal system. 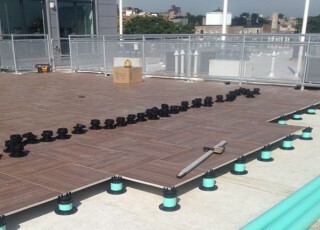 This method offers a great advantage in terms of installation over decks and waterproofed layers. Also, it allows easy removal providing access to the underlying layers when repairs need to be done. It also provides good protection and drainage for the waterproofing membrane. 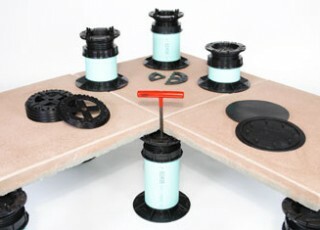 With the Paver Pedestal System, water entrapment is prevented. Thus, paver damages and membrane deterioration are avoided. Part of the Paver Pedestal System Advantages is the reduced heat conductivity due to the elevation of pavers and air circulation. As a result, the membrane is kept from expanding and the insulation thermal efficiency is maintained. Paver Pedestal System makes use of durable concrete pavers that last for a lifetime. These concrete pavers are available in different colors, shapes and textures which can beautify and make unused spaces functional. Lower energy costs and better insulation. High-quality protection of roof membranes. Reduced noise transmission to the building interior. Transformation of unused areas into useful and attractive space for every day use.